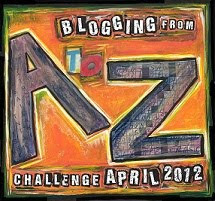 Welcome to the 2012 A to Z Blogging Challenge--the fastest way to make friends and sharpen your blogging skills! Starts April 1st, sign up with the Linky below. Questions? No problem, go here! I learned how to write short, snappy, yet interesting posts from last year's challenge! Because there are many, many bloggers out there who are signing up and they don't have too much time to linger with a single blog, so I pushed myself to making it this way. It's really a growing experience and you'll love it! Welcome the hosts--you may visit any time our blogs for fresh updates or news flashes, or simply click on the badge above for our direct site! Read my survival guide here. Please help spread the word by simply tweeting, +1, or Facebooking below! Thank you! I knew that getting my book published would change my life, but I didn't know in what way. The first thing that hit me was a bad case of vertigo and nausea as soon as TreasureLine wanted Darkspell, my YA paranormal romance novel. I slammed the panic button and requested some more time before I sent it. I'm one lucky gal because my publisher is a real sweetheart. She consented and I deleted about 8,000 words; that's about 6 hours worth of writing gone. As a writer, you never know when that agent/publisher will say yes. Your manuscript must be ready to the very minute! I've always wanted to do my own chapter illustrations, but had forgotten all about it after I sent my baby off for editing. 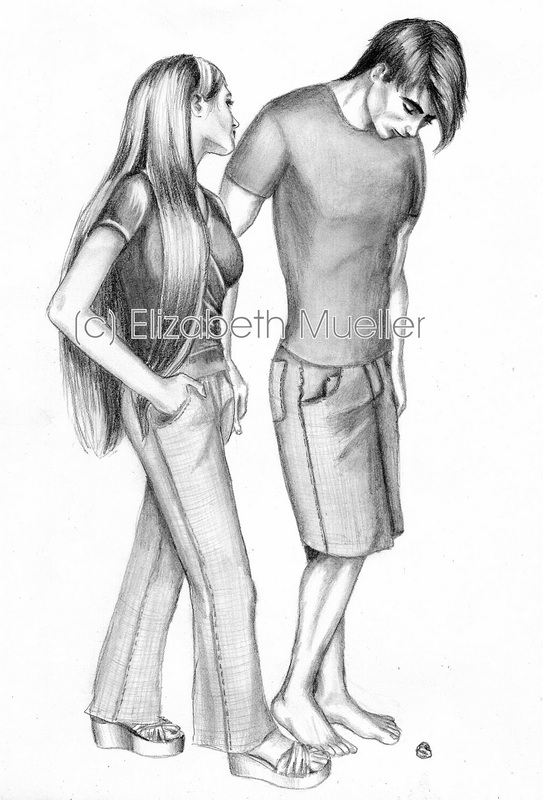 I emailed my publisher and asked her what she thought if I illustrated each chapter. She said it was a great idea if I wanted to do that. Over the course of a week and 117 hours worth of time, I completed 39 illustrations. After a long nail-biting wait, the editor sent a marked up Darkspell for me to work on. When I was done, I had to wait for another long period of time. What to do now? After working day in and day out nonstop for a few months for Darkspell's perfection, this sudden bout of nothingness left me feeling out of place. Then the thought hit me. Marketing. I could start marketing my book. I hunted down an author pal of mine and asked him how he handled pre-ordering. I tinkered with PayPal and slowly updated my website. There's so much work involved in getting a book published, but one thing's for sure, I couldn't have done all this without the moral support of other writers! Not only that, but I have the joy of knowing that I've finally reached my life's dream. Would you like for me to share something fun? FuN fAcT: the cover model is my 12 year-old son manipulated by moi to look 17! A trusted friend comes to you and says, "Well, you're pretty familiar with astronomy, right?" You nod your head. "Of course I am. I've only been studying the subject for twenty, maybe ten years?" You don't want to sound like a space geek. Your friend smiles and says, "Welcome to our space expedition program, then!" He hands you the keys to his magnificent spaceship and says, "I'll see you later. Make it count." Okay, you think, what do I do now? That's the question. What do I do now? That's how it's like being a debut author. What now? What now . . . I've been told by a good friend that expectations kill. They do, don't they? I expect my book to sell well. It doesn't. I expect everyone to love it. They don't. I expect to become Ms. Popular in my town. I'm still invisible. I know, this sounds so silly, but it's the misconception I had as an aspiring writer. Being published doesn't change very much unless it's a miracle! I still don't know what to expect and every author I've spoken to--the nondebut ones--say, "Oh, yeah, I remember going through that. Don't worry, it'll get better [because you'll learn from your mistakes]." Just like real life. I just thought I'd share my experience with you, so you'd know that I'm not walking the yellow brick road. You'd think when a book gets a 3 star review, someone's bashing it, right? Because I know the person who gave Darkspell the review, I had a creeping feeling she'd rate it a 3 star, I don't have an explanation for that, either. So I clicked on her link for my Book Tour and headed over to her website. Lo and behold! I saw her 3 star at the top. I smiled because I knew I was right! Yay! Not very many people are happy about that, really. But guess what? Anastasia wrote a FaNtAsTiC review! I know that my book is too gushy for her (she loves battling elves), so you can tell how flattered I am with her perception as well as her objectivity. Even when you don't favor a particular book, it doesn't mean you must bash the poor thing. I read Star Scout Rising, a full-blown science fiction read, and I have to admit it was one of the hardest books I've had to read since my heart is in romance, but I was positive and found joy in the characters and plot and adventures rather than pick it apart. How do you review a book that isn't your cup of tea? Find out what a fantastic review, Anastasia wrote for my debut novel here and why I LOVE this 3 star review! I must confess that this was truly challenging! Like with any huge project, I planned ahead of time. I thought of a theme I'd stick by through out the entire month and created a list per alphabet letter on a spiral bound notebook, writing as many words that started with each letter. so on so forth till I reached Z. Next, I went down my list and circled one idea per letter to post about it. I wrote my entire alphabet post in two days a month ahead of time. Why? Because I wanted to enjoy visiting everyone's fabulous blogs and leave comments on as many as I could per day! Since we aren't posting on Sundays (but for April 1st for 2012) it gives us a fabulous opportunity to catch up on the comment love! And that's my secret. What's yours? We are all familiar with disappointment. Disappointment is born when there is hope or expectation. Yes, we all need hope to keep moving forward, but I believe that expectation is a whole lot steeper than hope. I've lost my sights on why I've become published. I became obsessed with marketing my book to the point that I was losing my soul to it! I'm with a very small publisher and it's up to us to promote our own books. That has been a struggle with me because I have a family to tend to as well, and then there's real life that comes with it. It became so bad that I've had to force myself to take a break for a whole week straight. I found that I had SO much more time open wide for reading, being me, and playing with my kids. I really enjoyed it. It's been two days since I've returned to my writing career. This time, it's different. I've set aside specific times in my day so that I don't let things rule my life again. As an aspiring author, I had expectations for my book--but that's like saying a little girl expects to live happily ever after once finding her knight in shining armor. I had no idea what I was really in for--being published is simply the business side of writing. Being published doesn't mean all your problems melt away and you're set for life--it's like with any other career out there: you still have to work at it but wisely! You don't stay at your current job 17 hours a day, Monday through Thursday, do you? It's so easy to let that happen with your book because you love it, you're home doing it and it slowly cooks you alive if you're not watching the water boil! Just like with any relationship gone sour, I need to remember why I started writing. So I'm getting back to the basics: Discovering the pure joy in writing, and remembering the love of sharing my heart's work. As a rule, authors never talk about the hardships of their careers, and it makes me wonder why because it is there. What struggles are you facing now? Do you know your A, B, C's? My experience with last years A-Z blogging challenge was a total blast! I learned to write concise posts, shrink time, and make tons of friends! I enjoyed it so much that I'm now part of the A to Z Team, yay! See what the buzz is about and click on the badge below, follow our shiny new site for updates. Guess what? I'd love to introduce you to our lovely team for 2012! We will announce occasional A to Z news in stereo so that you don't miss a thing. They are a wonderful group of friends that I know you'd love to follow if you aren't already! Interested in signing up yet? Not sure? Okay, if you'd love to see my A to Z Challange, click on this link here and see what the fuzz is about. Go on, you'll love what I've done! But if you're still not sure, That's fine, you have until January 30th to sign up. Think about it! Don't be shy and drop by our new site every so often for updates and stuff! What do you think, are you going to join? What are your goals for 2012? Alex Stormhold is sworn to protect Winter from the darkness that hunts her, an ordinary girl who believes she's nobody special. Winter unlocks a horrifying secret and must make a choice that could cost the lives of the ones she loves. 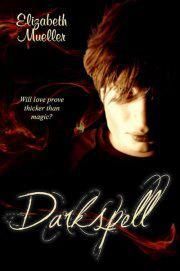 Darkspell is a YA Paranormal Romance. Please join my Book Tour this month! January 27 Sheila at Why Not? Because I Said So! I'd like to thank everyone one who danced with me for my Debutante Ball, you made Darkspell's entrance into society a pleasurable one! I have two winners: my lovely international and local--Yay! 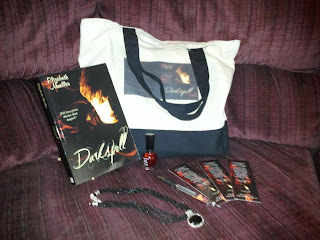 CoNgRaTuLaTiOnS, Old Kitty from Ten Lives and Second Chances, you've won Darkspell's e-copy and poster! 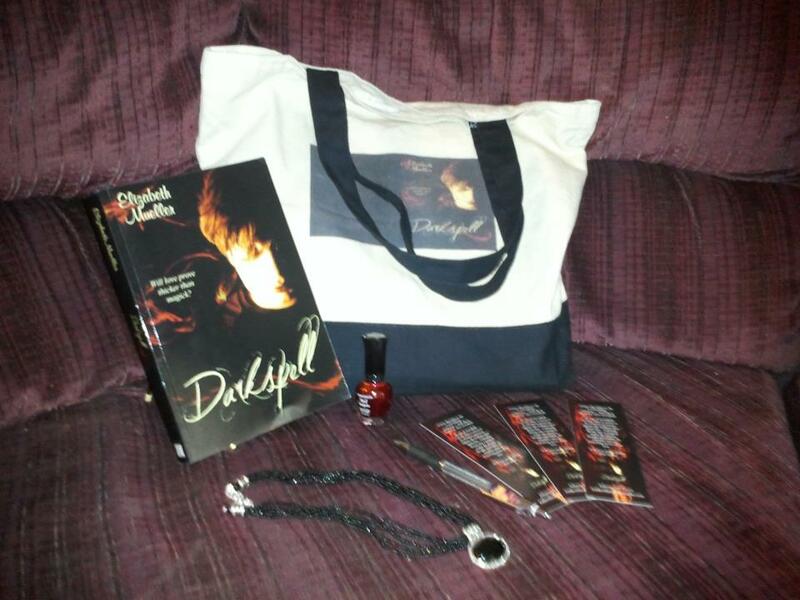 *cOnGrAtUlAtIoNs, Ashley, you've won the signed copy of Darkspell and swag! 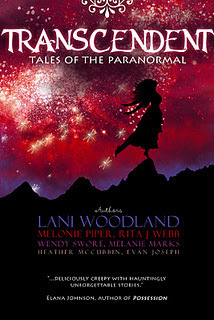 Congratulations, John Dwyer, you've won Transcendent Tales of the Paranormal! *Another winner will be chosen if I don't hear back from Ashley soon!